The regional group Berlin is organizing every month a ‘Stammtisch’. 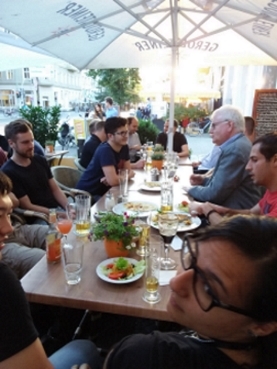 This is a regular get-together in a pub and both DAAD fellows and alumni are very welcome to join the get-together. Here you can meet other fellows and alumni and can exchange your experiences. We are meeting every 1st Monday of the month in case it is not a holiday, else the following Monday, in the Grand Bar (Oranienburger Str. 33).